Check out our working avatar creator here! We have a soft spot in our hearts for kids who are interested in learning about programming and game development, and we make it a part of our mission to look for opportunities to give back to our community. 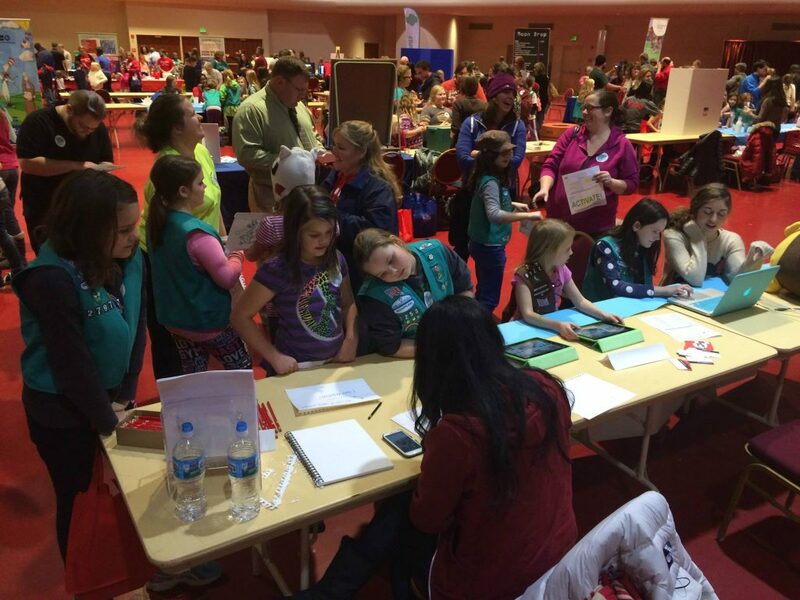 In December, Filament Games was invited to participate in Activate!, an annual event designed to give Girl Scouts the chance to experience and participate in various STEM-based activities curated by local businesses, partners, and experts. The Filament Games team wanted to create something custom for the event that would excite the girls about programming, illustration, and game design. Specialists from multiple disciplines of game development in our studio participated in the project with the intention of creating an activity that allowed the Girl Scouts to make something of their own. Development on the idea took about a week, and was treated like one of Filament’s own game development projects. Our game designers prototyped an idea and passed it off for an initial design to the user experience team. From there, an illustrator added more art assets, and one of our programmers developed the working game. On the night of the event, girls started with prototyping their own game idea. Girl Scouts drew themes from a basket and doodled various live-action play screens on their sheets of paper. Topics like “inventions” and “race car” turned out game names like “Speed Build”, “Build a Computer”, and “A Adventure of Magic” [sic]. The girls chatted animatedly to our team and to each other, explaining their game rules and what made their game unique. Our other activity was built around learning basic programming and used the game that one of our programmers coded. 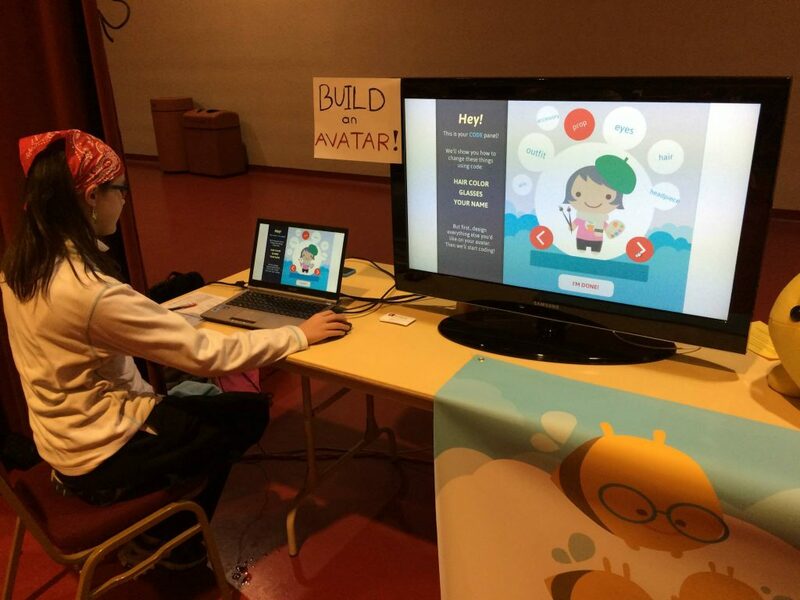 Our game was a special, Girl Scouts-themed avatar creator that not only let girls customize their own avatar, but also use small pieces of code to change elements like hair color, glasses, and their avatar name. The Girl Scouts who played with the avatar creator had questions answered on-site by one of our programmers, Rachel Berkowitz, and were given a printout of their avatar and a summary of the code they used. If you’d like to try the avatar creator, or if a girl you know might be interested in game design or programming, check out the working game here. To see a full photo album from the event and some of the Girl Scouts’ prototypes, click here.